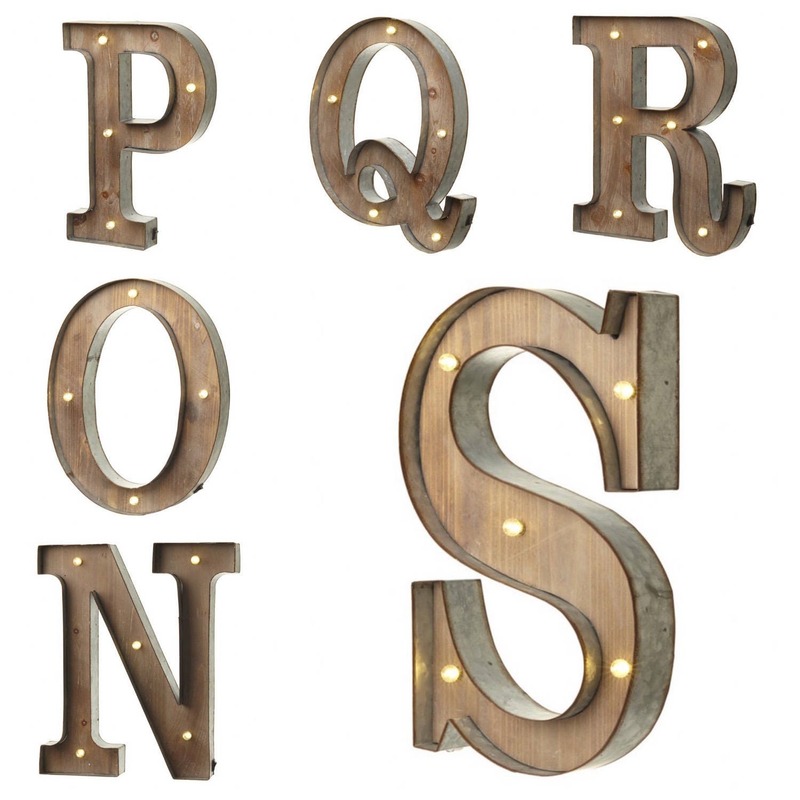 Welcome to the wonderful world of Rup & Forn's Vintage Inspired Marquee Lights and to our newest addition, our beautiful rustic barn styled wooden letter lights. 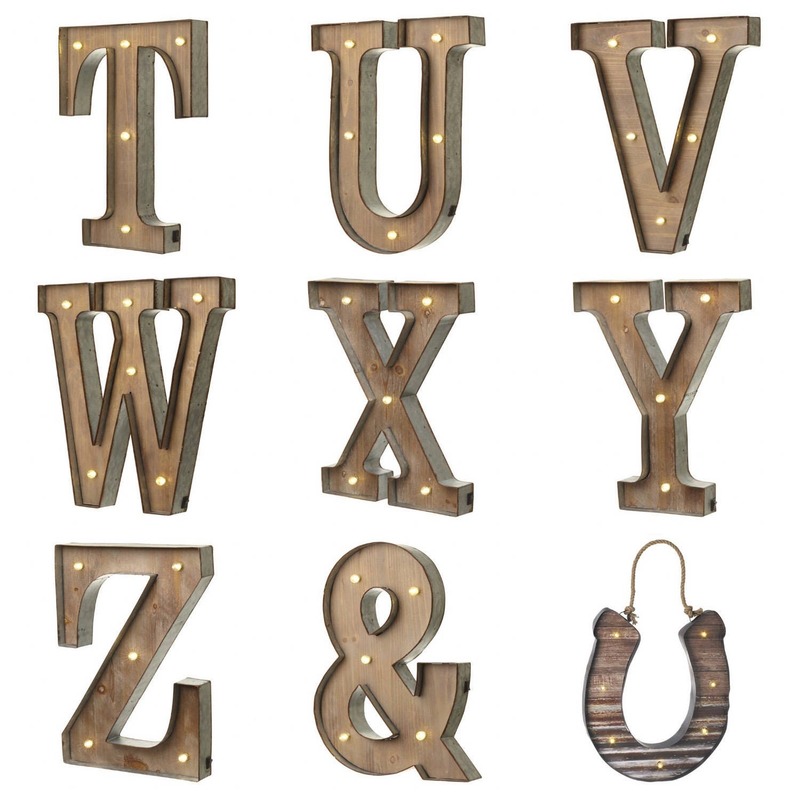 Whether you're adding a little bit of rustic charm to your home décor or wedding, we're sure our Wooden Letter Lights (and we do some symbols too) will look just gorgeous! 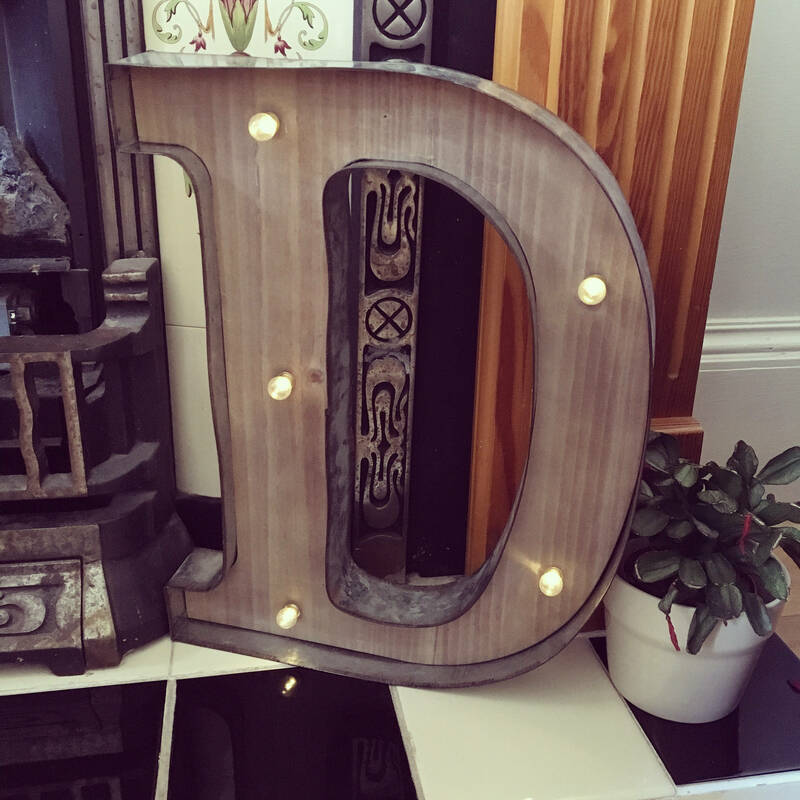 Bigger than our Traditional Marquee Letters Lights, our Wooden Letters sit at approx 41cm high. They are 5cm deep and the width is in proportion (see below for specific width measurements). 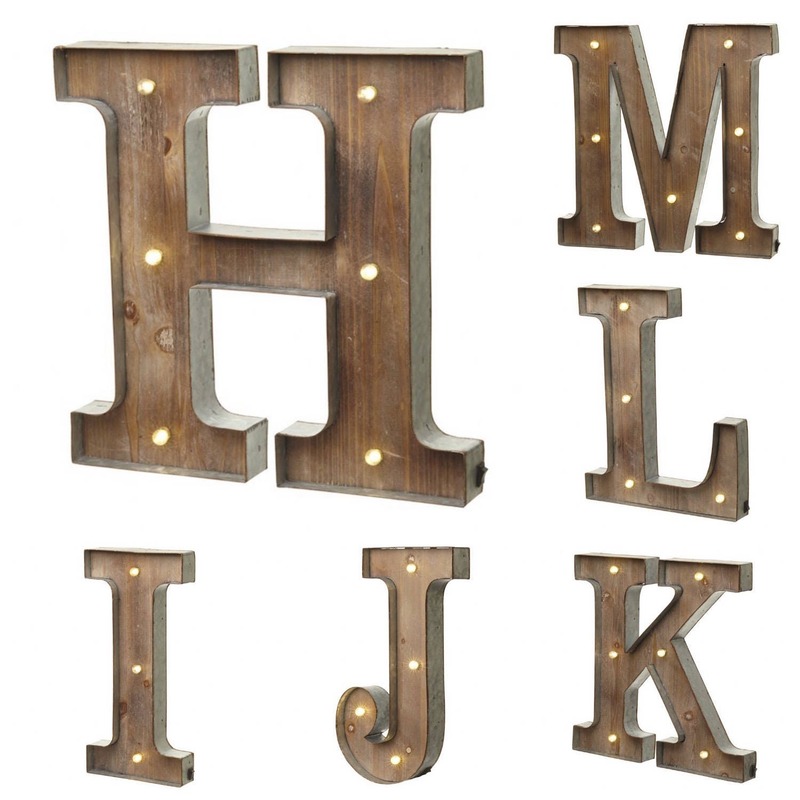 They are made from metal, which has a slightly rustic, used finish and feature a wooden veneer inlay to finish off that gorgeous rustic look. Each light weighs approx 850g. 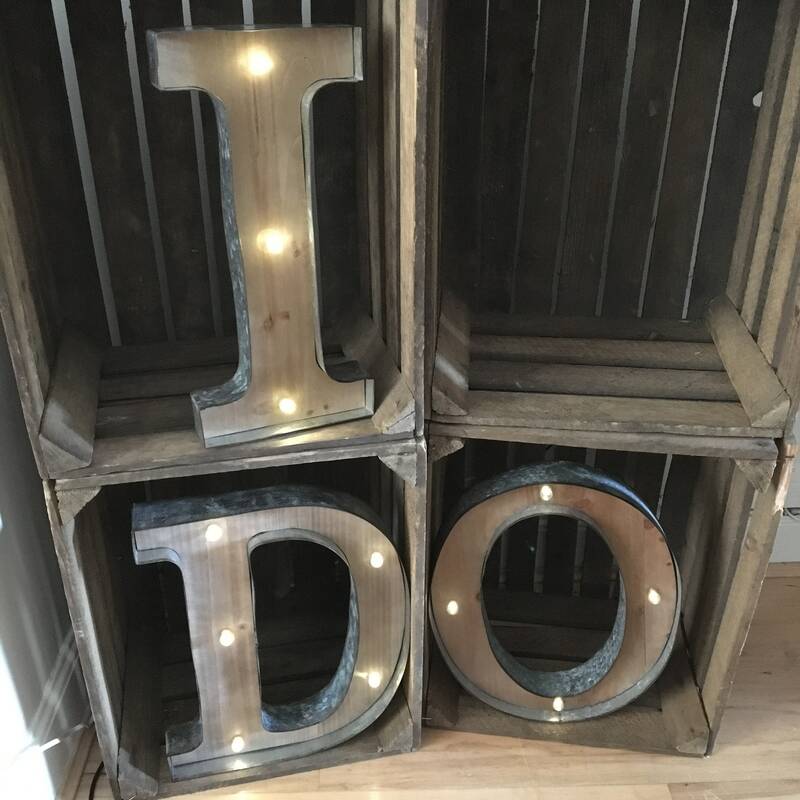 Fitted with (replaceable) small LED bulbs, they won't drain your batteries too much (each light requires 2 x AA batteries) and by being LED, there is absolutely no heat from the lights, so are safe to leave on as night lights or for long periods of time at events etc. 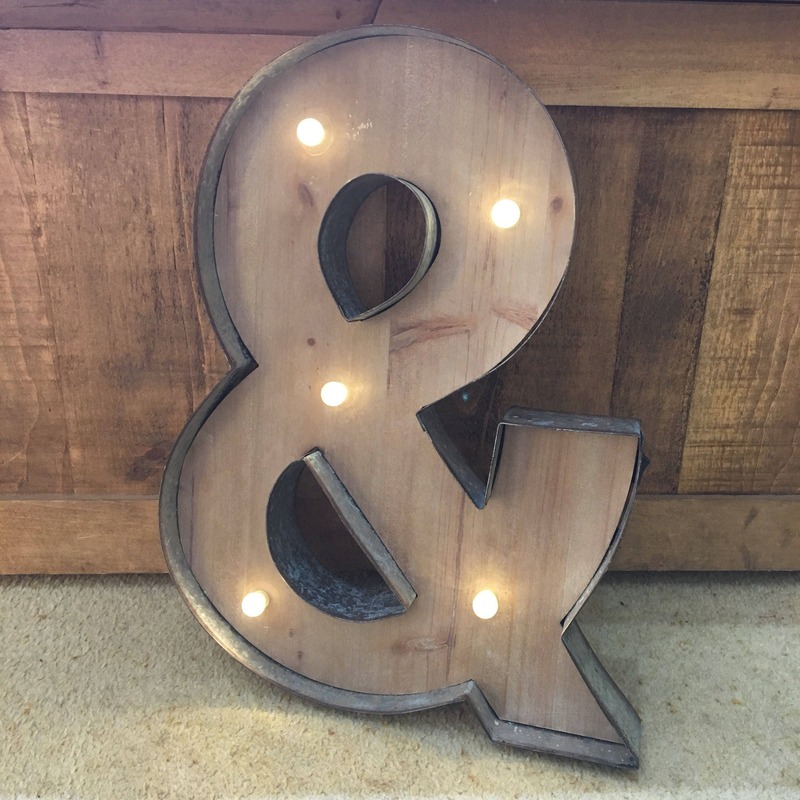 Each light can be wall mounted using the holes featured on the back and we've made sure the on/off switch is at the side for easy access to turn the light on and off. 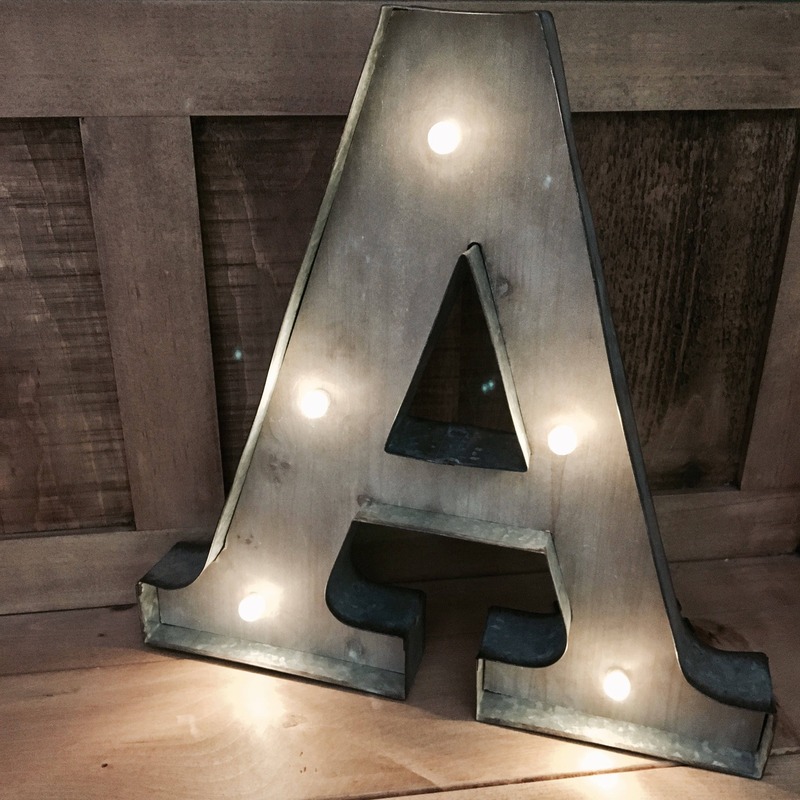 As with our Traditional Marquee Lights, we don't have many of our marquee lights created at any one time, so if you can't see what you are looking for, or it looks like it might be out of stock, get in touch and we'll see what we can do for you. 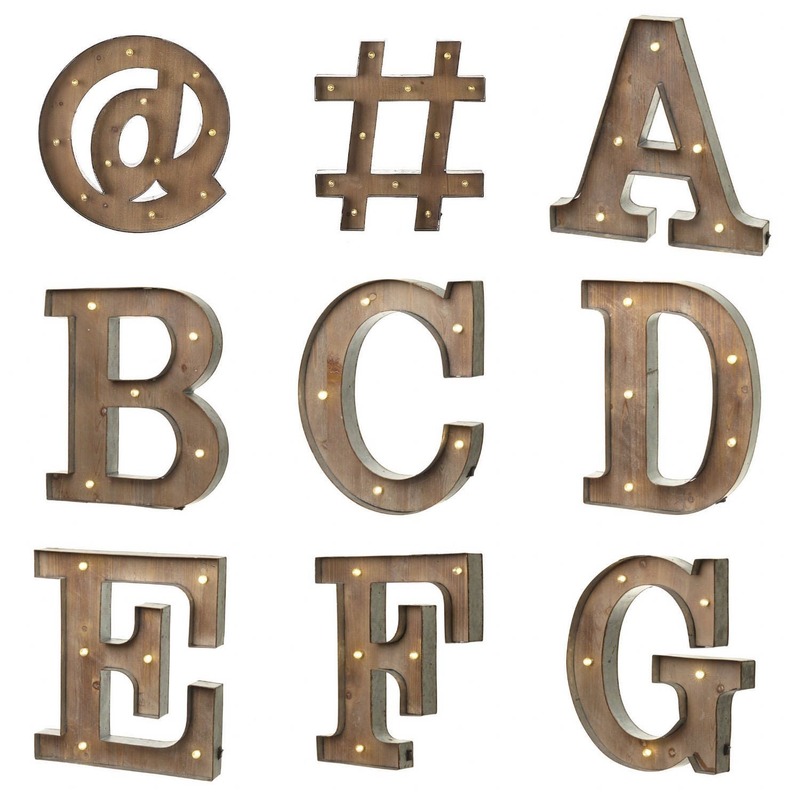 Oh P.S Check out our listings for the Wooden Symbols to match the Wooden Letters; we think they're pretty awesome! ...Very cool special and modern touch to my baby nursery! Arrived fast, works well, looks vintage. Absolutely love our letter. On/off switch for lights in great location for us to hang higher on Wall. Highly recommend.